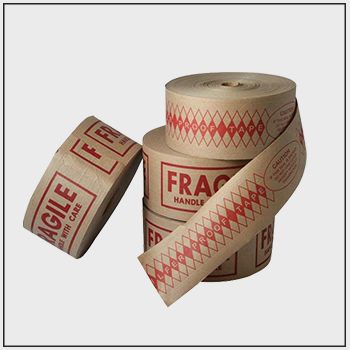 GMR Packaging carries all grades of Carton Sealing Tape: Poly Proplyene, Poly Vinyl, Gum Tape, and Reinforced Tape. Custom widths available in most grades. Please ask us about printed security tape, and tape printed with your company logo. 201-664-2330 or by email at info@gmrpackaging.com.